a little girl, long red hair with some sticks and leaves hanging from it, muddy knees and hands, a wild look in her eyes, full of wonder and awe. She would run around in the woods smelling the ground, dancing in the rain, finding her place behind a big tree and made potions for the animals and sending letters to the forest fairies. She would carry her weirdness with pride and she was okey by being unique. 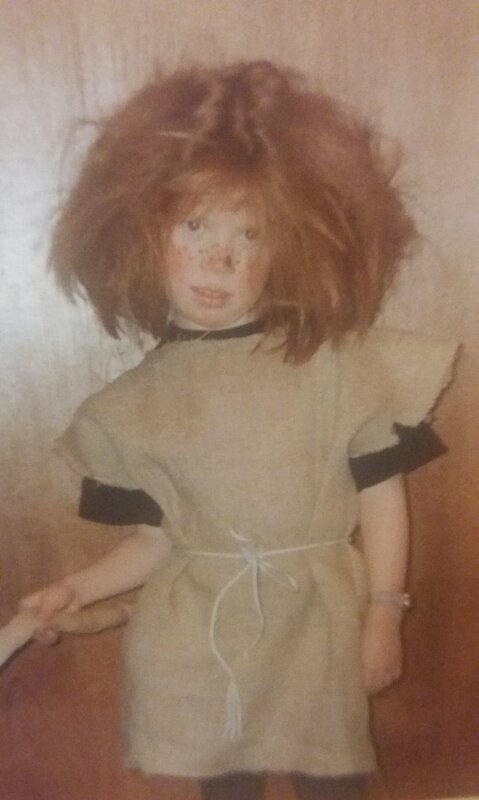 when other would go dressed as princesses she would go dressed as a wild forest troll, in a brown potato sack with really messy hair. That little girl was me. - who is the weirdest and ugliest girl in school? is not until later in life I realised how much impact that had on my teenage years and early twenties. Slowly I started to hide from my weirdness. Wanted to be like everyone else. I wanted to be seen attractive and I rebelled. I made the beautiful forest girl into an oversexualised girl. Got lost in my looks and my body, wanted to be seen attractive and “normal”. Later in life, Matt my current partner shared a picture of a woman, a bit older than me, in the forest, smelling the ground, wild hair, vulnerable and naked. and I hated it, I hated it so much because some part inside me was screaming, wanted to be let out but had been suppressed for so many years. I started crying, and oh boy I cried...I was lost…I knew it was there but I was hiding from it. That day changed my life, my inner uniqueness, weirdness and wild woman was awakened and nothing could stop it…..
We all are naked weirdos but we are hiding from it. Be your weirdness, its absolutely magical and don’t think what other people will think, what does it matter. We are all so flippin beautiful! I will run around the woods like a crazy person, yelling in the summer, I might put a picture up of it, it hurt it might inspire. Find your wild side, and live it!